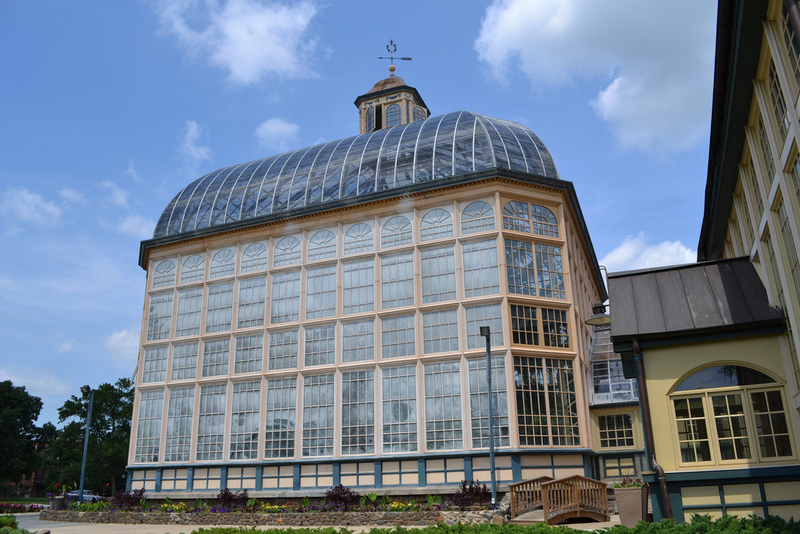 Established in 1888 as the Druid Hill Conservatory, the Howard P. Rawlings Conservatory has grown from the original Palm House and Orchid Room to include three greenhouses, two display pavilions, and outdoor gardens. 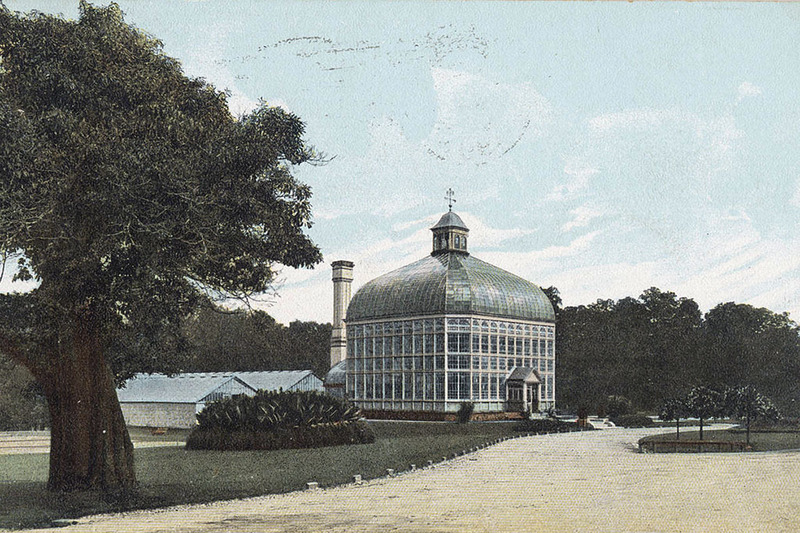 In 1874, Baltimore's park commissioners proposed the establishment of a botanical conservatory in Druid Hill Park and directed George A. Frederick, the park architect, to design and make plans for the new building. Abbott Kenny, a member of the committee for the conservatory, traveled to Europe to visit the famous Kew Gardens of London, a model for the new design. The idea was abandoned for a decade but then revived in 1885. Construction soon began on a structure of iron and wood with a Palm House at its center. The Conservatory opened August 26, 1888, to a well-received audience of about three hundred visitors. 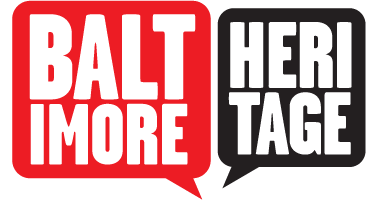 Holding steady through the years, the affectionately named Baltimore Conservatory was closed to the public in 2002 for a major renovation. The newly redesigned production houses were to include a Mediterranean House, a Tropical House and Desert House. The conservatory re-opened September 24, 2004, and shortly thereafter its official name was changed by law to the Howard Peters Rawlings Conservatory & Botanic Gardens, in honor of the former Maryland House of Appropriations chair Pete Rawlings. 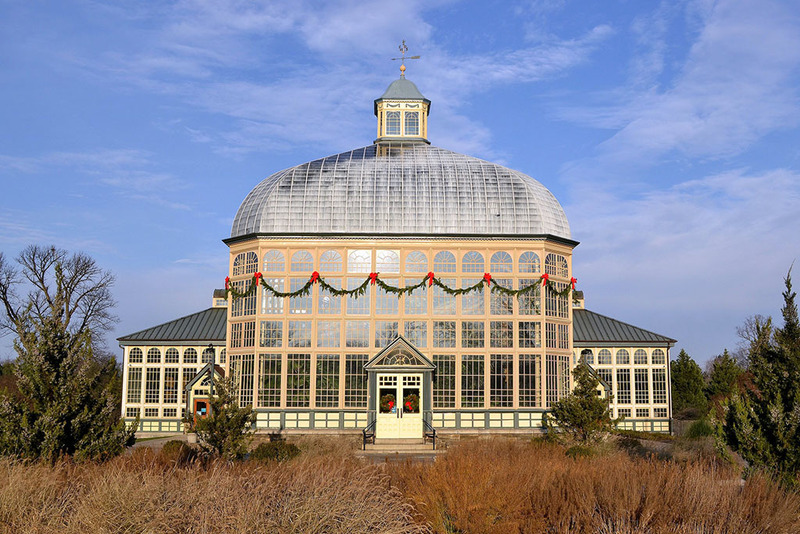 The Conservatory is the second-oldest steel framed-and-glass building still in use in the United States. H.P. Rawlings Conservatory, “Howard Peters Rawlings Conservatory,” Explore Baltimore Heritage, accessed April 19, 2019, https://explore.baltimoreheritage.org/items/show/498.